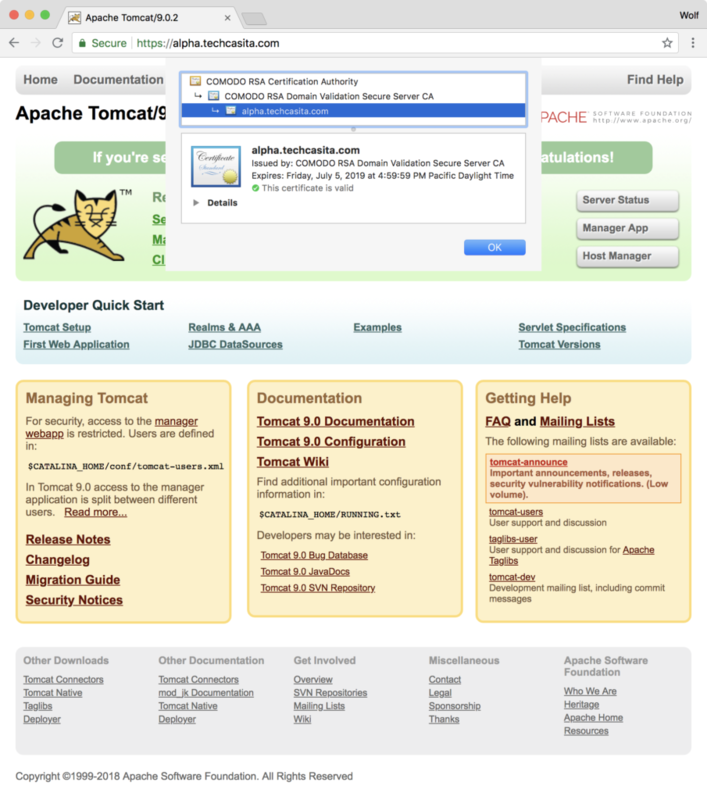 If you have Tomcat installed on your Mac or Linux computer, like I have shown here and here, you may sooner or later want to serve content not only through HTTP, but also securely through HTTPS. 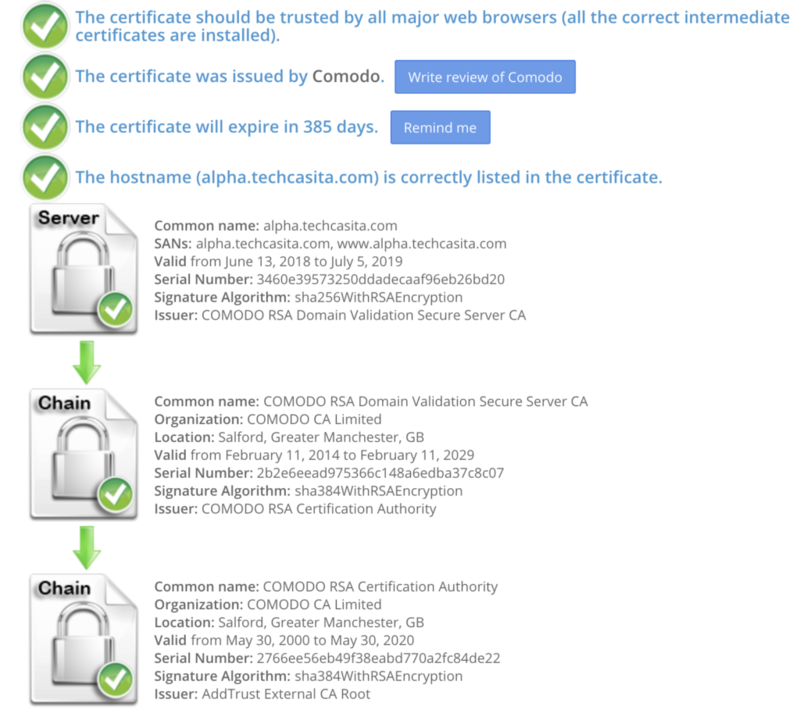 Instead of going the self-signed certificate route, where the certificate is signed with its own private key, I’m describing how to acquire an SSL certificate that is signed by a certificate authority (CA) and how to configure Tomcat to use it. While not free, I gladly pay sslmate the $16, for the convenience of getting a certificate that works everywhere. Here are the things you should already have in place. A host and a domain name (for this example I’m going to use “alpha” and “techcasita.com”). Access to an email account associated with that domain (for instance admin@techcasita.com. I currently prefer Google as my registrar, which allows you to forward email to any address of your choosing. You may want to think about a strong password and for simplicity, use it throughout this process. However, once you have figured out what the actual java binary file is, setcap (a Linux command to set file capabilities) can be used, to allow a non-root process to listen on a privileged port..